Do I have enough Homeowners Coverage? What are coverages A, B & C? Unfortunately, disaster can strike at any time. No one is immune to the threat of losing his or her home due to any number of possible hazards. However, a recent survey found that most homeowners are seriously underinsured. Marshall & Swift/Boekh, a leading insurance data services company, found that 66 percent of homeowners had inadequate coverage by an average of 18 percent. That works out to $36,000 for an average $200,000 home. While few people would willingly choose a policy with a $36,000 deductible, that is the result if they are underinsured by that much on what may well be their most valuable asset. Coverage A is your home’s replacement value, or what it would cost to rebuild your house to its current building quality in today’s cost of materials, and labor at the time of loss. Some carriers may include debris removal of the materials being replaced under the Coverage A limit, or it may be included under additional coverage in the policy. Market value is the amount of what your home would sell for today, which is very different from what it would cost to rebuild your home. Market value takes into consideration the land value, depreciation or market trends and other nearby market factors such as jobs or school districts. The replacement cost simply reflects the cost to rebuild one home. For example, you can have a home that is worth $400,000 if it was sold (market value) in one neighborhood while an identical home across town could have a market value of half that much, even assuming they were built on lots of equal size. However, replacing those homes, rebuilding them at today’s cost while using similar construction methods and materials, would essentially cost the same for both. Rebuilding costs can be higher or lower than market values, since factors like land value and depreciation don’t affect rebuilding. However, the quantity of materials being purchased will affect the cost to rebuild, often therefore brand-new construction can appear less in cost to build than to “rebuild” at replacement cost on your insurance policy. Home Builders purchase materials in quantity and receive lower rates in labor, whereas insurance policies calculate for the individual home loss. Sitting down with your agent to review the features of your home is very important to ensure you are covered adequately. Homes with features such as crown molding, hardwood floors and tile, and custom kitchens cost more to rebuild. Your agent will take these and other factors of your home into consideration, including the total square footage to determine the home’s replacement cost. This is the value you should insure your house for in the event you have a “total loss”. We recommend you review your policy every few years or if you make significant improvements to your home to avoid being underinsured. Most homeowner policies automatically include detached structures insurance (Coverage B) that equals 2% of the amount of insurance on the dwelling (Coverage A). If the number and/or value of detached structures is significant; such as a detached mother-in-law suite or several of the items listed above – a separate valuation should be done for each to determine if extra coverage is needed. Typically, the 2% limit for detached structures can be increased to 10% on the policy for these items before you would need to schedule specific detached structures on the policy, depending on the values of the structure(s). If you have a normal size fence and nothing more, you will probably be fine with the 2% figure. Regardless, this should be brought up when discussing replacement cost coverages with your agent. Your homeowner’s policy will automatically include personal property coverage, which is a separate item sometimes known as “Coverage C” that can equal 50% to 75% of the Coverage A amount. If you have a typical amount of personal property in your home, this should be adequate. Policies include coverage for personal property at actual cash value, which is the depreciated value of the item at the time of loss- which will factor in the age of the items and use of the items. This decreases the value of replacing them substantially. If you do not have Personal Property Replacement Cost listed on your policy, you should contact your agent and discuss this coverage with them. This can amend the valuation of how your contents/personal property is paid in the event of a covered loss and is a beneficial coverage to have. Similar to the Replacement Cost on the Dwelling discussed, the Personal Property Replacement Endorsement will allow you to have coverage to replace the contents lost with items of like quality and kind. However, if you have a great deal of personal property or you have higher value items, then you may want to discuss an additional amount of coverage with your agent. Items such as jewelry, guns, coins, computers, business and high-risk property typically have policy sub-limits, some of which may be $1,000 or less. Such special items should be discussed with your agent, especially if you have them valued over $1,000. 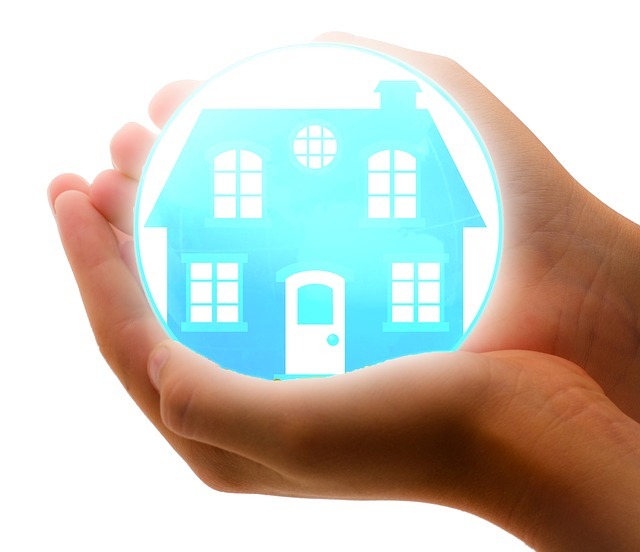 A homeowner’s policy has many options to increase these personal property coverage amounts. In some cases, the insurance company will have an appraiser come by and visit your property. This will provide a better valuation than relying on a database estimate alone. This is commonly done for homes larger than 5,000 square feet, for some commercial properties, or for structures with unusual characteristics such as unique craftsmanship and materials, historic value, and other special considerations. Knowing the value is part of good financial planning and risk management. What you are doing is protecting your assets, belongings and the investment you have in your home. The worst thing you can do is review your coverage values after a claim, because at that point, it is too late. That is why it’s best to address this now and let insurance serve its purpose and allow you to smoothly proceed with your life after a claim occurs. Important tip: Be sure to take a detailed home inventory before any disaster strikes. Take photographs and record serial numbers where applicable, particularly on high value personal property. There are many commercial websites that can help you with this process and will automatically store this information offsite, where these important records are not vulnerable to the same disaster that befalls your home and property. You could upload photos, videos, and/or receipts of any inventory to the “cloud” for remote access after a disaster and or loss has occurred.